As the centenary of the outbreak of the First World War approaches, the guns have already been firing in Britain. Michael Gove, the Secretary of State for Education, has sharply criticised those historians, artists, actors and commentators – in fact, pretty much everyone – who thinks the First World War (for Gove, it surely is ‘the Great War’) as a ‘catastrophe’. The dangerous (‘unpatriotic’) left-wing spectacles he has in his crooked sights include Joan Littlewood‘s Theatre Workshop production/Richard Attenborough‘s film, Oh! what a lovely war! and the final series of Blackadder (on which see David Mitchell‘s wonderful commentary here, and the response to Gove from Tony Robinson – who played Baldrick – here). Now, presumably, the villains also include the avowedly conservative historian Niall Ferguson, who recently described Britain’s decision to go to war as ‘the biggest error in modern history’. I particularly enjoyed historian Richard Evans‘s dismissal of Gove as ‘a donkey who pretends to be a lion‘ (perhaps that should read ‘alien’?). 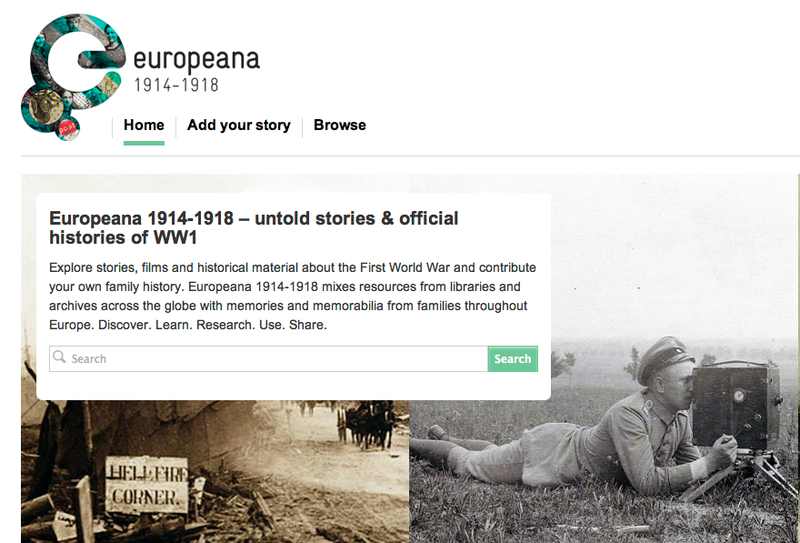 I rehearse all this because, as a welcome antidote to Gove’s shrill jingoism, europeana has just (re)launched europeana 1914-1918 (‘untold stories and official histories’), which brings together digital materials including letters, diaries, reports, photographs and film from libraries and archives around the world. It really is a stunning resource: Mr Gove could profitably learn from both its mission and its content. This entry was posted in World War I and tagged Blackadder, donkey, Michael Gove, Richard Evans by Derek Gregory. Bookmark the permalink.